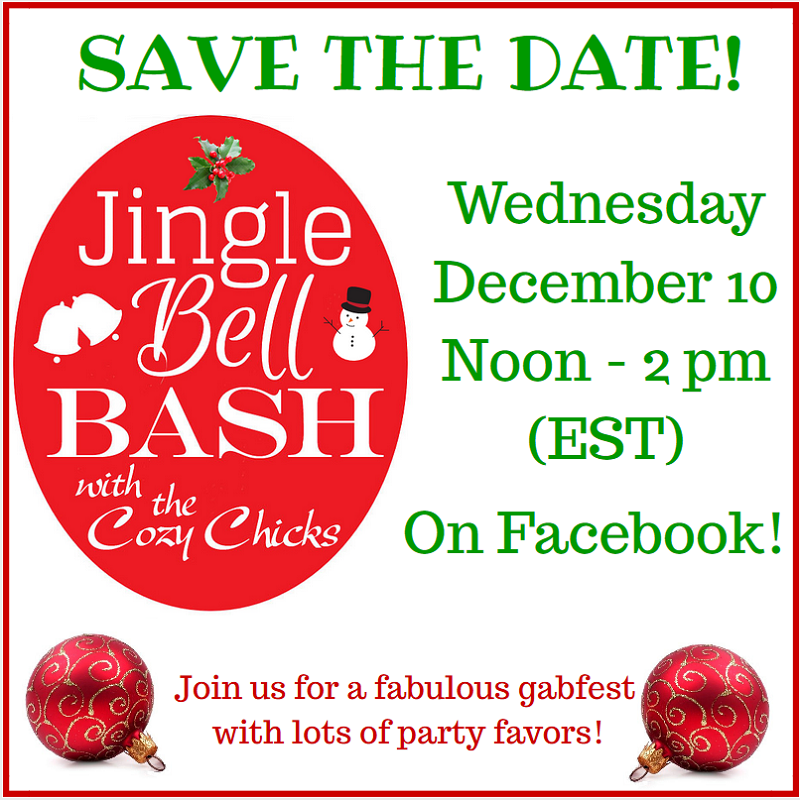 The Cozy Chicks want YOU to join us for a virtual holiday party on Wednesday, December 10th, from noon until 2 pm (eastern standard time). 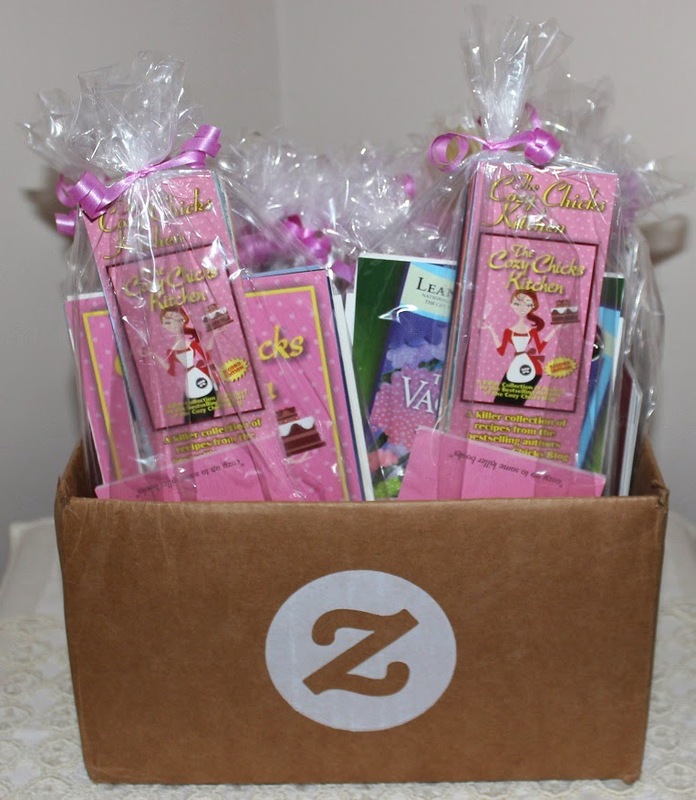 During the party, we'll reveal lots of Cozy Chicks secrets; share recipes, and have a bunch of wonderful giveaways. Here's a look at some of our party favors, but we'll have much, much more! We're going to have a wonderful time -- and we want YOU to share it with us.